Building an excellent sales team and moving to a new market is an arduous task— especially when it comes to building a sales team in the US. I recently sat down with Sebastien Blanc, who works in sales in the technology industry, to talk about his experiences. Sebastien’s knowledge of sales is vast, including having expertise on how to expand into new markets. In the last 15 years, he’s been an employee, an investor, a founder and board member. Sebastien is from France and currently lives in London. 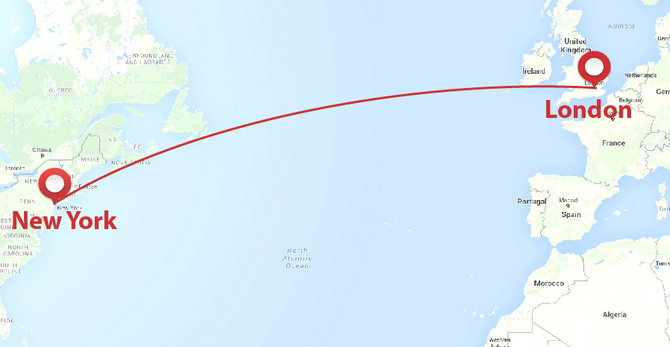 He’s spent a considerable amount of time in New York and San Francisco. One of his recent experiences includes working at Struq, a UK ad tech company. 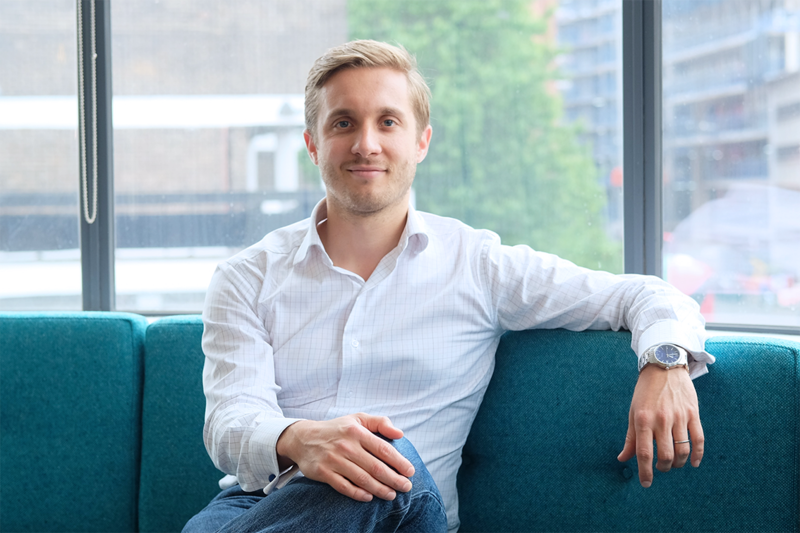 He joined when the company had 25 employees, and was part of the team that expanded Struq outside of the UK with offices in the US, Brazil, Poland and Turkey. He primarily ran and grew the US team successfully, before the company attracted interest from Quantcast, a San Francisco-based ad tech company that purchased Struq in November 2014. Sebastien is now the Chief Revenue Officer at Skimlinks, another company operating in the ad tech space. Skimlinks generated 50-million dollars in revenue in 2017 and has more than 80 staff members. 65 percent of their revenue is in the US, 25 percent in the UK, and 10 percent is made up from the rest of the world. As Chief Revenue Officer he is involved in the marketing, sales, account management and strategy departments. In other words: where there is revenue, there is Sebastien. Sunny: Hi Sebastien and thanks for sharing your experience. Could you tell us about your time at Struq, especially your experience launching in the US market, because this is always an exciting topic for CEOs around the world. Sebastien: Struq was an ad tech company selling personalized retargeting ads to big retailers. If you have ever been on a retail site, looked at, say, a pair of shoes, and those shoes followed you everywhere around the net, I was probably one of the people that sold the ad. As for the US, Struq first explored the North American market to see if there was a desire for the service. Once we realized there was an opportunity to do business, we went for it but made the same mistakes many European companies do: we hired a local country manager with a mandate to build a US-based team. One year into the process we saw that revenue was laughable, to give you an example, the company was making $2,000 per month around June 2013, while we had a core team of 4-5 people with a base salary accounting for $500k. It was a major problem. Sunny: You don’t need to be a maths whizz to see that those numbers don’t add up. How did you turn it around? Sebastien: The first decision was for me to spend more time in the US and place a stronger emphasis on the Struq culture that had been successful in Europe. This was based on hard work, honesty, and trying to make a difference. As a result, there was a fair amount of turnover from staff that didn’t fit the company ethos. We then restructured the team around one of the key salespeople who was excellent at his job. This rep was one of the previous staff who bought into the Struq culture and just needed some operational support. Sunny: Was this change efficient? Sebastien: To keep it short, I took on the US business in June 2013 with almost no revenue. We closed 2014 at 10 million USD. So we went from 0 to 10 million USD in literally 18 months. Sunny: I think many CEOs would be hugely satisfied with only half of this performance. What else did you change to reach such outstanding results? Sebastian: Our job was to bring big advertisers on board that were ready to spend large budgets. The scope for bigger companies to invest in our product was one of the discoveries we made in the US. In the UK, for example, large customers generated between £50k and £70k per month. In the US, however, we found that a mid-market customer could generate $300k each month. Suddenly, the goalposts moved. From stacking up large numbers of customers who were paying £50k per month, we were looking for a select few companies that we could scale to multi-million accounts per year. I knew that finding the right five or six accounts would see the company go from zero to eight digits in revenue quickly. At the time, the top three retargeting companies with US operations had a combined market share of 35 percent. That means there was potentially 65 percent still up for grabs, which was competed for by the smaller companies. I focussed exclusively on that bottom 65%, and we manage to find the people that had real spending power and that were a good fit for our technology. We ended up closing 20 customers, with the top five each worth several millions of dollars a year. Sunny: So, tell us the magic formula, the secret sauce to get that amount of customers on board in such a small amount of time? Sebastien: We did two things: First was to understand the market and build a list of targets. The size of the market wasn’t huge, with maybe 1,000 companies. Our larger competitors already occupied a third of those. That left us with 650 potential customers with each one having between three and five decision makers. Then we started reaching out to them in the most personalized way we could but with scalability in mind from day one. We managed to outreach the entire market within three to four months. Sunny: How did you reach out? Were you using marketing automation software? 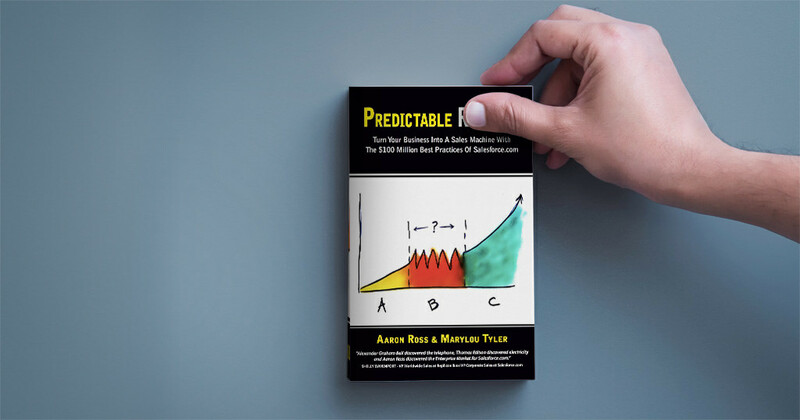 You suggested I read Predictable Revenue from Aaron Ross, so I think you took some inspiration from it, no? Sebastien: Exactly, we took inspiration from that book as well as advice we received from another CEO based in the Valley. The goal was to generate an automated machine that would reach out systematically and rigorously to all the stakeholders. We targeted 650 companies with a message that would be as good as a message sent by our top salesperson on their best day. But we had to figure out what this message would be that would allow us to stand out. We also had to figure out how often we should reach out. They have a term for this now called Account Based Marketing (ABM), where you treat every individual company as a market that you need to penetrate. To execute this, we used Marketo, bought data, and produced content to reach out with relevant information. For every 100 companies we reached out to, we arranged about 30 meetings, which was a great response. I think if you use the same technique now, you won’t have these level of results as everybody else has caught on. All of a sudden, I had meetings to send my senior salespeople on. They were loaded with all the support materials to go and close deals. We had a 20 percent close rate on all qualified leads. And I knew that once something closed (if it was the ideal customer) and I had rules for that (and if they were on the high-deal setup) and I had rules for that as well—I knew they would scale. Sunny: What questions did sales reps ask to qualify meetings? This is important for salespeople to understand that they have to qualify their leads from day one. The trick is to make sure the person you’re pitching to is the one you want to close, as opposed to customers who will create a lot of work for little growth and revenue. It’s about channelling your resources on a small number of customers that are going to make a large financial difference to your company. Sunny: How do you focus on those customers that make the difference? How do you identify them? Sebastien: You can always identify the criteria that makes a customer successful. For example, in retargeting it’s a numbers game: if they have a large audience to begin with, there will be lots of users to target and optimize against, and you know that it’s possible to scale. We had some more business related criteria, but no matter your target customer, there are always measurable rules that define the ideal client. Every organisation thinks these rules don’t apply to them, but they do. The processes doesn’t differ dramatically between companies, only the specific rules you end up choosing. That’s where your salespeople come in— there is always going to be that one rep who has a feel for these things and has a rule of thumb for how customers convert. The goal is to find that person and utilise their knowledge. Then you replicate it across the rest of the team to create a cohesive process that brings success. The goal is to limit the number of false negatives and false positives that you are going to have. Unless you have no revenue at all, the knowledge you need to achieve is probably within your company already. Sunny: So you try to score each prospect against those rules? Sebastien: Yes, we had a sort of informal Deal Desk which helped us turn down deals that weren’t worth our time. Now, it is never an exact science. For example, we had one customer who didn’t pass the Deal Desk, but one of my sales reps needed a win and wanted to do it. So I told him to “go for it”, even though it didn’t technically meet the criteria and I was sceptical. The deal went live and, against all odds, ended up being a huge money maker. You will end up having some false negatives and some false positives— deals that look great on paper but not so well in reality. That’s fine— the important factor is always to review and refine these rules to keep your process fresh. A sales organization, like any other, is a machine to produce knowledge. You refine your understanding of the ideal customer by adapting to the circumstances. Perhaps you thought a deal had strong product market fit on a particular vertical but then realize that it doesn’t scale or it churns more than you want. But it doesn’t matter as long as you keep up with the changes. It’s important because it will help your salespeople understand the deals they can and cannot close. No matter what field the business is in, if you let your salespeople do what they want, eventually they will end up doing things like opening a peanut store on Times Square. Salespeople always think that you’re missing just one feature to close a deal. The ideal customer and the perfect setup is also a way for you to give salespeople the tools to know what they sell, so they don’t diversify you in a direction you didn’t intend to take. Sunny: That’s so true. Salespeople are always worried about deals they think they lost because of a single feature leading them to wrong conclusions. In reality, they had no chance from day one. Sebastien: Yes, you want salespeople to execute on product/market fit. But you don’t want reps to try and find product/market fit. That isn’t their job. Now the consequence is that sending salespeople to sell a product that doesn’t have product/market fit to start off with often ends up in tears, but that’s another story. Sunny: The product/market fit is especially important to avoid those unnecessary sales and marketing conflicts. Would you say that sales is the tip of the iceberg? Sebastien: Yes! Sales is the most evident manifestation of making money, but actually, I like to think about revenue as a machine. Within that machine, there are many different components, and the reality is if salespeople don’t have the machine behind them they will fail. Of course, the machine also fails without the salespeople. To build a machine, you need marketing to feed sales, and you need to segment your sales team. You want to have fields sales; you want to have people who handle outbound; you want to have people who generate leads. Sunny: You speak about segmenting. What size was your team? Sebastien: At Struq it was between 15 and 20 people – certainly not massive. You don’t need to be huge to segment your team. 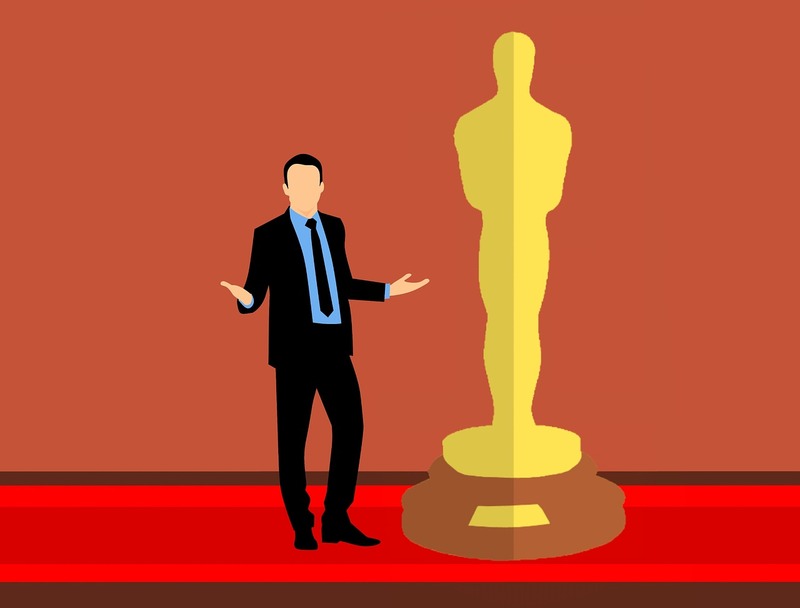 The differences in skills between identifying qualified leads and closing a deal for, say, a Fortune 500 brand is vastly different. It’s good to have different people assigned to the tasks, or you will end up with people doing tasks they hate or are not suited for, which means higher attrition and low productivity. Segmentation is key. If you have a setup where one person is doing every aspect, you are essentially wasting their talent and need to train them on every detail of the job. If you have a good closer, why are you wasting resources making them find leads? Sunny: As soon you have three people in your sales team, for example, segment their roles? Sebastien: I think there is a structure that you need to implement and that this structure depends on the maturity of your business. When a company starts and is relatively small, it’s known as “founders sale”, where you aren’t necessarily selling your product; you’re selling the story. You want to convince people that they want to be part of your story and the brand. At this point, you’re practically doing everything as a one-person band. Sunny, you’ve been a founder many times, so you know what it means. Next, there is the point where you understand how to sell your product or service and try to teach others to sell it for you. That is the stage where you can have two, three or four salespeople who do everything. You’re still trying to figure out the metrics to scale from. The third stage is where you understand the entire sales process perfectly. It’s about scale, and that’s when you diversify. Where I work now, at Skimlink, we have five people selling one of our main products, which is not that much, but we are far along regarding understanding the exact metrics. Everyone is super specialized. It’s more about knowing the metrics of what you are going to scale. You might have a sales company with 10-20 reps who are all doing everything because they are still trying to figure things out. Or there might be five to 10 reps at another who are segmented because they know the exact metrics and individual KPI of the machine to bring success. You can segment with just two people if you’re far enough into fully understanding the makeup of what you are selling. Sunny: It’s more to do with finding the metrics and finding the right market fit? And then when you have the fit and the metrics, you can put your foot on the gas? Sebastien: Exactly. At that point, it becomes more like a maths exercise. If you know that you will get 30 meetings for every 100 companies you reach out to; that your qualification on the back of that is 50 percent, and you close 20 percent as customers; that people in your pipeline need to have at least $1m in revenue, suddenly the exercise becomes “how many companies meet these criteria?” And how quickly can you hire and train salespeople to convert the entire market? Getting an approximation of these metrics has nothing to do with the resources you have. There are so many free tools out there. It’s about building a rigorous engine that powers you forward rather than making random phone calls. Sunny: What you describe there is interesting. It is essentially the startup market. Because the offer is new, you have loads of space, and you describe the most efficient way to hop into that space. Sebastien: Yes that’s true for the acquisition part, but whatever your stage you need to find good KPI to grow your business. For example, at Skimlink we have several lines of product. For one of those lines, 54 percent of the top 100 US & UK publishers already work with us. We are the space! In that case, we focus on other metrics. When you already own half of the market, the question becomes about growing value by each customer. In this example what I noticed was that revenue per user on my least successful customer was 2,000 times smaller than the revenue on my most successful customer. Suddenly, the target changes and I don’t place as much emphasis on acquiring new customers. Instead, the focus is on bringing the worst performer closer to the best performers. The ideal customer, the ideal setup and all the metrics, they change to focus the team on one thing: how do you grow the average size per user of this customer? How do you bring them to the halfway point? The most exciting aspect of your jobs is knowing that one metric that you actually want to make a difference on? And then you make the metric visual and get your salespeople to obsess about it. Salespeople come in many different forms. My job as a sales and commercial leader is to understand what input I need them to provide to get the desired output for the company. Sunny: Which brings us to the management part of this discussion. How do you set goals for your salespeople? Sebastien: I think a mistake that many people make is that salespeople are only motivated by the revenue target. In reality, there are two types: The lead target, which is the input, and the lag (revenue) target, which is the output. If I ask any salesperson in the company to bring me one-million dollars, they wouldn’t be able just to go out and get the money. If they could, they wouldn’t be working for someone in the first place. 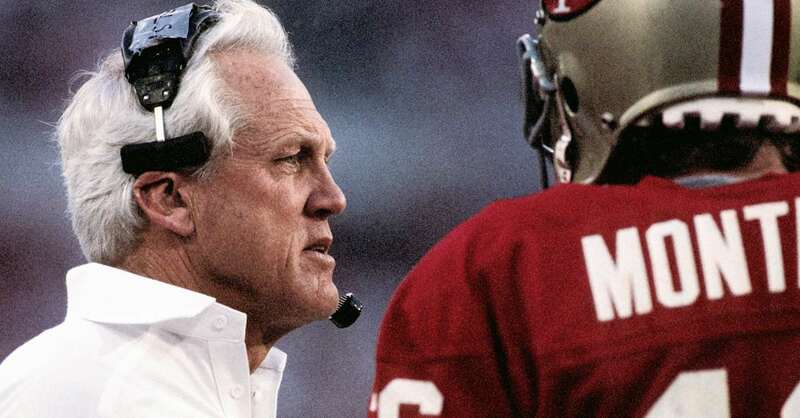 There is a book I love, “The score takes care of itself”, by Bill Walsh, who was the legendary coach of the NFL team, the 49ers. He explained that you couldn’t tell your team to win the Superbowl— it doesn’t work like that. But you can get your quarterback to get 99% success rate on four-yard passes for instance. And if everyone in the team can get their bit right— block effectively, run the 100y at the right time, etc.— the Superbowl will take care of itself. Which I translate to: “If the input is good, the revenue will take care of itself”. Sunny: That’s interesting because it’s the same with launching a new startup. If you look at your main competitors, you say “I can’t beat Google or Microsoft”. But if you do it step by step, it’s possible. Sebastien: If you nail customer support. If you nail your uptime and are perfect for all of your input, you will stand a good chance of success. And I believe this is the mentality of most salespeople. I do give sales targets to my sales reps because I think it’s important to be motivated, but I manage them by inputs. I have three inputs that I measure across all salespeople. One: Number of meetings. If you don’t reach out to customers, nothing is going to happen. It’s as simple as that. Three: Number of verbal commitments per week. These are three metrics that allow me to measure my team by on a weekly basis. If they hit the input numbers I give them; revenue will take care of itself. Sunny: But is it enough to give them such precise input to reach their goal? Sebastien: We were talking about salespeople being the tip of the iceberg, right? If you look at your revenue organization, and 99 percent of your costs are salespeople, then you are setting your salespeople up for failure. Sellers need lots of support. It’s like playing soccer and only buying strikers. But if there are no defenders, you’re going to lose because the other team has more balance and is better equipped. For every dollar I spend on customer-facing staff, I try to spend a dollar on the sales infrastructure. And to me, the sales infrastructure is made up of three big pillars. One: Sales IT. You need to have a tool where salespeople work more efficiently, a strong CRM with simple elements. E.g., a feature that reminds them they need to work on a deal now or will tell them how they do on a small number of important metrics. Two: Product marketing. If you don’t give reps ammunition, no deck, no objection handling documents etc., they are only going to improvise. What is the likelihood they will improvise something to the best of their capacity from day one? Zero. We are only as good as our last rehearsal. I like to think that the art of selling is repeating something you have said a million times but saying it like it’s the first time you’ve ever said it. Three: Training. Train, train, train. Teaching people objection handling, sales techniques, giving them constant tools to use. 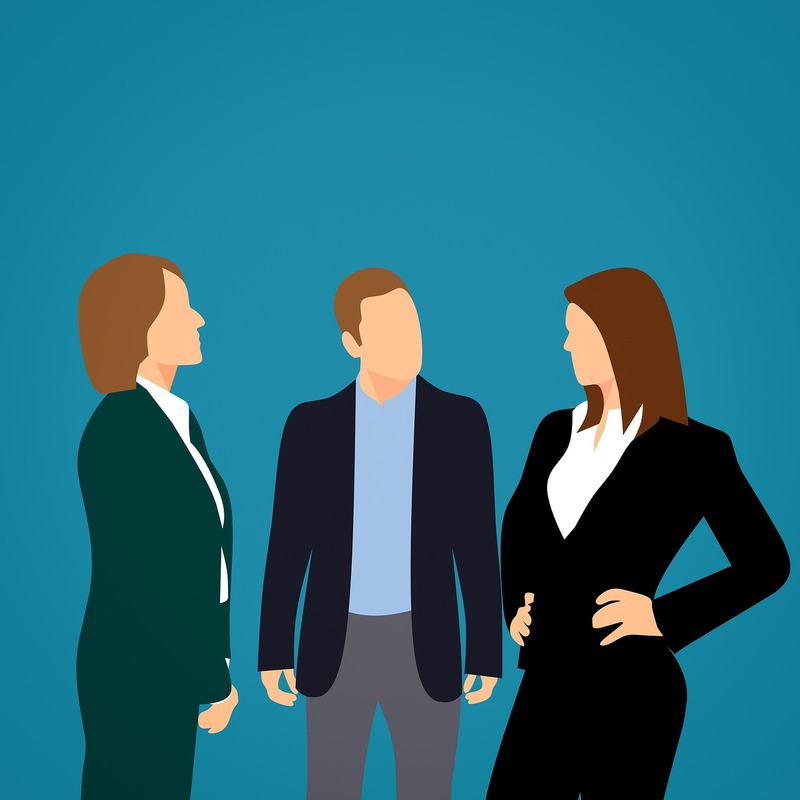 In my opinion, these three pillars set you up for a successful team of salespeople and provide the best chances to succeed. Sunny: When I listen to you I see the description of a company that is running perfectly, where everything is in place. But we all have to start by somewhere. What is in your point of view for the path to build that success? What should be the first move of a Sales Manager or a CEO who wants to build its sales machine? Sebastien: There is a book that influenced me called, the Lean Manager. It supports a core idea: If you hire the right people and put them in front of a problem that is visually represented, they spontaneously try to solve it in the right way. Most of us are wired to fix issues when we find them. For me, being able to visualize how we are doing is the most important thing. 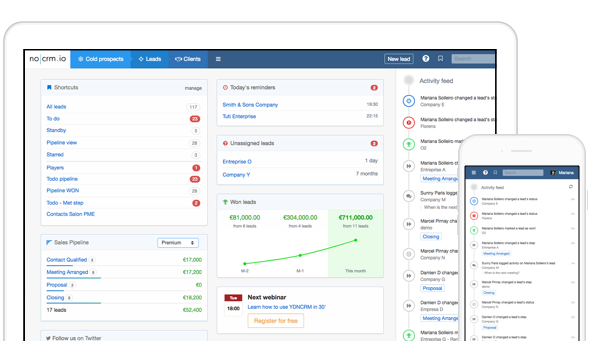 Add a CRM that has the data you need so you can visualize how you are performing as a commercial organization. Without one, you don’t have the basic numbers to understand the process and you will try to solve the wrong problems. 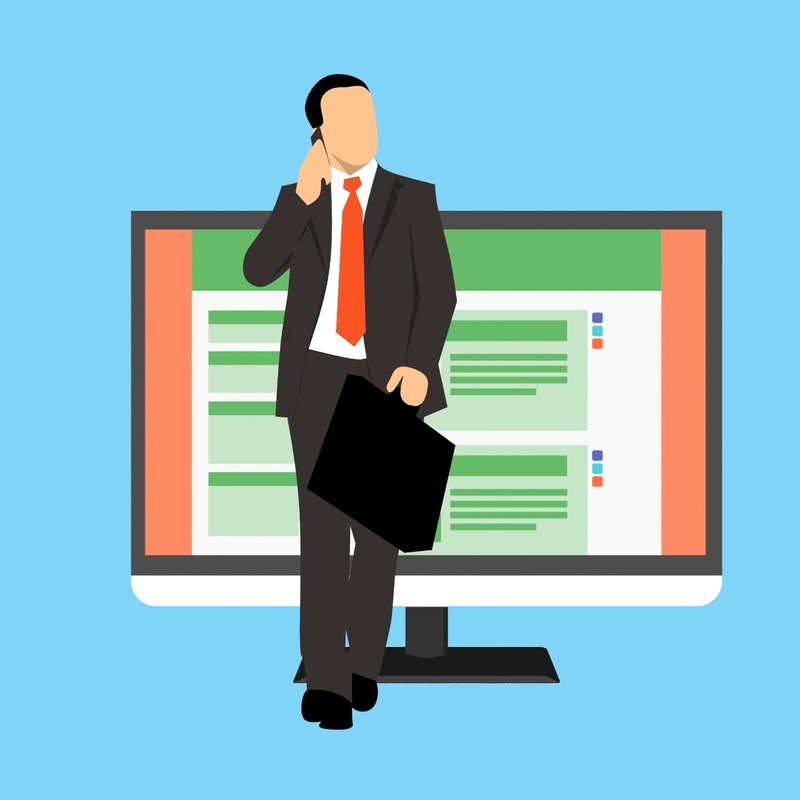 Going even further back in the process, you need a CRM that lets salespeople do their job and helps managers to see the whole process— something that enables them, rather than hinders. Sunny: I know that you used noCRM.io for Struq, which is not a super powerful tool for managing data, but is ideal for salespeople to manage their leads. Was it a good fit for your problem or did you need more data? Sebastien: The reason why noCRM.io was like a godsend tool to Struq was that it was perfect for doing two things. First, I could manage my lead metrics very easily, see what was in the pipeline, which leads were active and which one we had to discuss in the sales meeting. The second was salespeople adoption. Most robust corporate CRM are hated by salespeople. But noCRM was so simple, especially with its stand-by feature— it made salespeople’s lives easier. We went from a previous CRM, which was hard to get people to use, to noCRM, which every salesperson across the company was happy to work with. At Skimlink the reporting is much more complex, with so many customers and segments, that I needed another kind of tool. If I did not have this degree of complexity, I would have chosen first a tool that salespeople love to use. Sunny: Ok, we’re approaching the end of this great discussion. I think that we now have a clear view of what needs to be done. Start by collecting data, find your market fit and build your perfect customer. Segment your team, give your sales activities based targets and support them with training and marketing. But how do you recruit your sales team? I would like to have your view on this: Is there something you look for? What is your method when you want to hire salespeople. Sebastien: I have to say that recruiting is not my favorite aspect of the job. It’s like trying to pick your lifelong partner while having only one date with them— what could go wrong;-)? I don’t have hard proof, but I have a gut feeling. There is no correlation between the strength of their pedigree and the quality of their sales skills. When you hire salespeople from huge companies, how hungry are they? How much do you sell on skills vs on the amazing brand you represent? If you’re selling for Google Adwords, which has 90% of the market, how good do you need to be to sell the product? Of course, there is obviously a ton of amazing people at Google and other big companies, but will it work in my startup? There is no conclusive evidence. The top criteria I am searching for when recruiting (for startups because it is the only thing I know) is hunger and eagerness to learn. I think you can find these skills in random people who have been in random organizations doing random things. It’s important to filter through these skills and build a process that identifies key qualities you believe in, rather than go to huge quota salespeople from Fortune 500 companies. Sunny: In the startup scene this is something you see a lot— that you should hire a big salesperson. But they tend to fail. Sebastien: And it’s expensive. In the UK a big salesperson is going to cost you anywhere between £60k and £100k per year. It’s going to take three to six months to build a pipeline, which means you’re looking at nine months before you even know if the person is actually any good or just has a big CV. You’re putting roughly £75k on the table just to see if the person is lying or not. Finding a process that removes people that are good at marketing themselves and invest in people that are obsessed with learning is the key, I think. Sunny: The process is a replacement of the Rolodex? Sebastien: Ok, I believe the Rolodex is one of the biggest mirages of the sales recruitment industry. The big salesperson I spoke about at Struq had a huge Rolodex but closed one lead. Fine, the lead was a multi-million dollar account and credit to him for that. But the customer doesn’t buy Rolodex; they buy solutions that solve a problem. Rolodex, for me, is overhyped. I would take anyone who can reinvent themselves over a large Rolodex any day of the week. You need coachability— people willing to learn. That’s the most important characteristic. There is another book, “Mindset”, that explains how the ability is something that can always grow as long as you have the correct mindset and that you continue to learn. You can find growth mindset and fixed mindset at any stage of life, at any level of success. If you’re in a startup, you want people with a growth mindset. Irrespectively of what they achieved, you want people willing to put themselves into question and who believe that efforts leads to improvement. Sunny: It is a little bit correlated with humility: You want humble salespeople. Is it counterintuitive to the idea we have of salespeople? Sebastien: There is a myth of salespeople, the lone wolf, alpha-male. 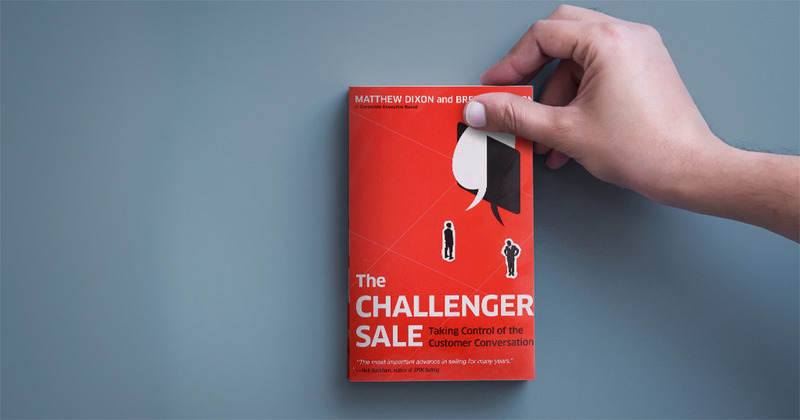 And – you might laugh—but there is this other book, “The challenger sale”[read more about sales methodologies here], and it shows that the best performing salespeople archetype is not the lone-wolf but the one that brings unique ideas to the table. The one that can challenge those around them. If you want to close deals, you need to listen to the problems of the customer. People often think they have to talk, but asking questions and listening is a much more powerful when you want to learn. Sunny: I can’t agree more as we have written a piece of that and on the importance of listening, and the importance of leaving space and silences and controlling the tempo. It is like in music; the silences and the rhythm are the important part. Sebastien: Debussy said music is what happens between the notes. There’s a metaphor there for salespeople. Sunny: I think this will make the perfect conclusion for this great interview. Thanks again. Sebastian: It’s been a pleasure.